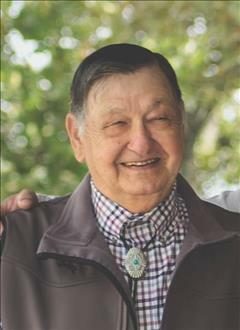 Jimmie Gary Sparks, a resident of Henryetta, passed away Wednesday, February 6, 2019 in Tulsa, OK at the age of 84. He was born December 14, 1934 in Hitchita, OK to C. Haskell Sparks & Bertie (Kindell) Sparks. Jimmie served in the US Army. He attended Connors State College as well as North Eastern State University and graduated with a Bachelors of Science. He was a chemical engineer who worked for Fansteel Metals in Muskogee, Oklahoma before owning his own business, Refractory Metal Fabricators in Houston, Texas. He retired to his hometown in Hitchita, Oklahoma in 1999. He was preceded in death by his wife Shirley Sparks, his parents, one brother, Charles Sparks, and by an infant sister, Flora. In lieu of flowers the family has designated a donation payable to Hitchita Lackey Cemetery mailed to PO BOX 73, Hitchita, Oklahoma 74438. Viewing will be from 2-8 pm on Friday, February 8, 2019 at Integrity Funeral Service with the family present to greet friends from 6-8 pm. Funeral services will be held on Saturday, February 9, 2019 at 2:00 pm at Integrity Chapel with Rev. Kent Sparks, officiating. Interment will follow at Lackey Cemetery in Hitchita, Oklahoma. Services are under the care and direction of Integrity Funeral Service.